Many companies spend too much time managing design processes manually with a combination of home grown forms, custom spreadsheets and email. Integrating a Product Lifecycle Management (PLM) solution is a proven way to streamline business processes, increase profitability, and sustain growth. Eliminate the Bottlenecks. 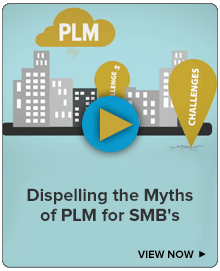 With PLM, you can ensure that all of your systems involved in the project lifecycle will be working together and sharing the information necessary to provide visibility, continuity and efficiency throughout the entire lifecycle of the product - allowing companies to get new products to market faster and spend more time on proactive processes. Rapid Deployment. Our PLM services experts work with manufacturing firms to define the areas of need and, through the analysis of the problem and definition of the solution, we leverage our experience through a proven implementation methodology, allowing for a quick and efficient deployment. Experienced Staff. IMAGINiT’s team of dedicated PLM services experts has many years of experience helping firms of all types and sizes achieve process improvement through the use of PLM. The team also excels at identifying what companies need to succeed and are here to provide recommendations, training and support that will ensure your PLM implementation success. "Benefits [of the new PLM system] include the removal of paper, which has led to improved customer service with information being integrated into the PLM workspaces or electronically filed in a central location for each project." Shane Wemhoff, Team Leader - Process Improvement Department, Behlen Manufacturing Co.
What is PLM and How Can it Help My Company? This whitepaper was written and developed by the editors of Cadalyst, the leading publication covering computer-aided design and related software and hardware technologies for the AEC, civil engineering, and manufacturing markets. This whitepaper explains the benefits of an Autodesk PLM 360 based solution for small and medium-sized businesses (SMBs), differentiates Autodesk PLM 360 from traditional PLM solutions and addresses the realities of data security for the cloud-based solution. 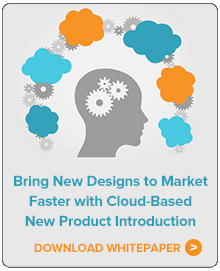 Finally, this whitepaper will highlight the experiences of an IMAGINiT customer that is benefiting from cloud-based PLM. New Product Introduction (NPI) solutions are more affordable and accessible than ever before, thanks to quick, cloud-based implementation and process templates that accelerate the setup. This whitepaper discusses how small and medium-sized businesses (SMBs) can benefit from formalizing NPI processes and highlights the success of a manufacturer in creating an NPI process. Revolutionizing product lifecycle management (PLM) as an information driven business strategy by integrating people, processes, data and technology to manage the entire product lifecycle. Behlen Building Systems Revamps its Approach to Project and Product Lifecycle Management with Autodesk PLM 360.